Stock Index Futures Trading: Before Putting your Money on the LIne, you Should Know the Basics. DeCarley Trading strives to offer the highest quality commodity brokerage services at competitive rates. Whether you prefer trading self-directed online, or with an experienced futures broker, we are confident DeCarley is capable of exceeding your expectations..
Trade on an Elite Futures and Options Trading Platform. Trade from anywhere! 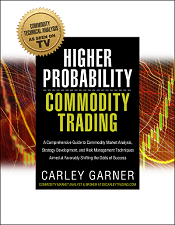 DeCarley Trading offers a suite of over 20 commodity trading platforms.. Enter futures and options orders, view live quotes, charts and option chains, and monitor account details on a downloaded desktop trading platform, or mobile device. Open a Commodity Trading Account Today in Minutes! Our online account application makes getting started in commodity trading quick and easy. When you feel like you are ready to start trading futures and options, apply for a commodity account with DeCarley Trading with these simple steps. 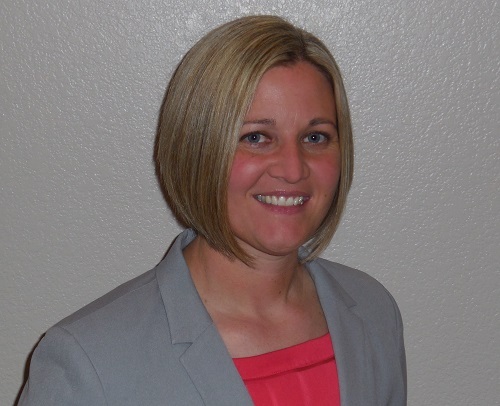 Read Carley's Commodity Market Insights each Month in S&C Mag! 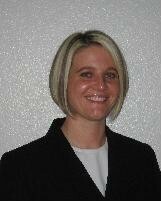 Carley Garner writes a monthly Stocks & Commodities Magazine Column, "Futures for You"
Carley Garner, commodity broker at DeCarley Trading, answers burning questions on commodity market mechanics, futures trading fundamentals, option trading strategies, etc. See Carley's Commodity Market Technical Analysis on CNBC! 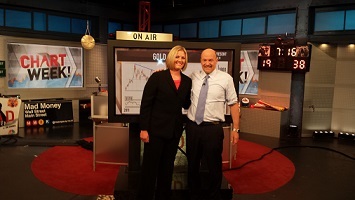 Cramer frequently looks to Carley Garner, a commodity broker at DeCarley Trading, for help in crude oil, gold, natural gas, currencies, Treasuries and the stock market indices. Sell Commodity Options without Restrictions! Sell options on futures with SPAN minimum margin the way you want to, not the way your broker wants you to. We specialize in brokering for short option accounts. Years of experience and networking have enabled us to provide a friendly environment for short option trading. Trade Commodities with an Experienced Commodity Broker. We enjoy working with clients of all types, sizes, and skill levels. The brokerage firm you trade with DOES make a difference, let us prove it to you! 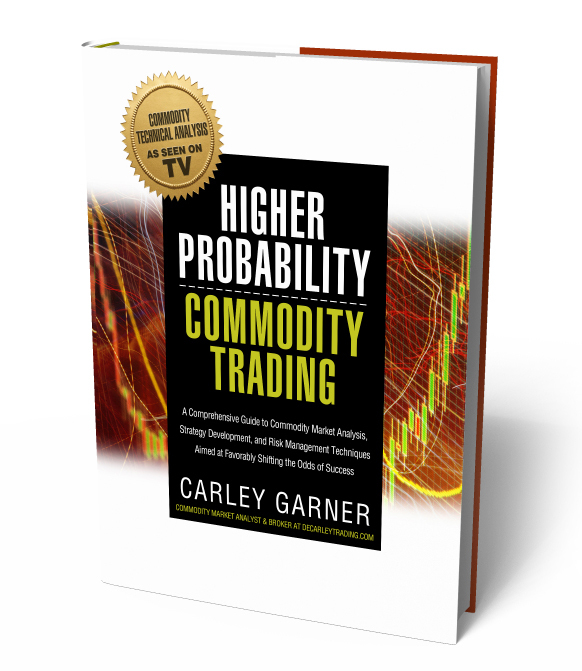 Carley works tirelessly to create quality commodity trading education, including her three books published by FT Press. Not only is Carley Garner a well respected broker in the industry, she is also a well tapped resource for publishers and news services. Category: Who is Carley Garner?